Imagine being able to perceive vital (or non-vital) information from an impossible distance. This ability, the ability of remote viewing, is a skill that anybody can actually learn, regardless of their natural psychic receptivity skill level. 1 What Is Remote Viewing? Similar to clairvoyance, remote viewing is the ability to sense accurate details and information regarding a location (that is non-local or distant), event, or a person without utilizing any obvious means or any of your physical senses. This ability is not to be confused with astral projection, where the practitioner leaves their body, but it is somewhat similar and is often spoken about similarly. This practice of viewing information from a distance can be traced back as far as the times of Ancient Greece, although it has transformed quite a bit over the years. The modern uses of this practice date back to around the 1930s when there were experiments being done on clairvoyance, out of body experiences, and telepathy. Astral Travel was a huge source of speculation and experiments, and eventually, researchers began to move on to additional experiments that focused on remote viewing and how to refine the practice. The ability to view information about a person, place, or event is a skill that can be learned through diligent effort and practice. Before you begin, you should try to place yourself in the proper physical and mental state required to remote view successfully. You should be open to receiving any and all information on whatever you decide to focus on because you never know what pieces of information are vital until you are finished with the viewing. 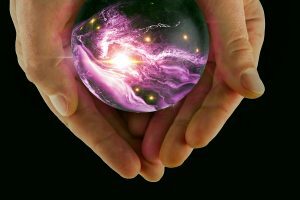 Experienced psychics and beginners alike can benefit from practicing this skill. Planning some basic experiments to start with is a good place to begin. Ask an assistant to put an image or a note into an envelope, ensuring that you as the viewer have no clue about what the image or note could be. Another simple experiment could consist of sending the person acting as your assistant out of your immediate vicinity and into another room or leaving the home or building completely. Once they are in their new location, have them perform a specific act or a daily activity and see if you are able to sense what they are doing. If you are doing this without an assistant, you can still practice on your own by focusing yourself on what the weather is in a specified location and then checking it soon afterward to check your accuracy. Have a close friend or family member act as your remote viewing assistant by selecting 5 to 10 photos. They should cut these images out of the magazine or wherever they came from and then paste the images onto a blank sheet of white paper with only one picture per paper. Make sure that these are not cartoons – these should be images from the real world. Pictures of things like nature, architecture, or people will be perfect. Ask your remote viewing assistant not to select a target that could be offensive or distracting to you, the viewer. When beginning to practice your remote viewing, you should note that it is not uncommon to view cloudy information that you receive that holds some type of attachment to your own personal memories or interactions. Sorting through what is real and what isn’t a part of the viewing shouldn’t be too troublesome if you know your own psychology well enough. You can prepare yourself for this by going into your remote viewing session with as clear and clean of a state of mind and body as possible. Meditating can help you here as well as closing your eyes in order to better focus on viewing the target in your mind through a portal, such as a window or even a magnifying glass. After you establish the portal connection that you’d like to use, you should begin to draw or write out whatever initial impressions you receive (even if your eyes are closed). These initial impressions can be quite odd, and that’s completely fine – just do not halt the flow of information as you view or perceive whatever comes to you. As you are taking note of whatever images or other information enters your mind, make sure you are jotting everything down. Even the faintest of images are important, but you should still aim to be as descriptive as possible without letting any of your own personal judgment impact the information. As you receive all of this information, it enters your mind as well as the autonomic nervous system. This means that your unconsciousness is already aware of all of this information about your target; it just needs to send this information to your conscious mind. This is done through even the subtlest feelings, sensations, and images, which is why it is so important to write down everything you feel while remote viewing. When you sense that you are done with the viewing, you can open your eyes if they were closed and analyze the results. Whether your notes were recorded, drawn, or written, you should proceed to notate your immediate feelings and reactions to your previous notes. Write down anything that you feel may be relevant. Don’t concern yourself with rationalizing anything just yet, especially since you had no previous ideas or knowledge of what you were remotely viewing when you began. You should begin interpreting everything only after you have notated all of your impressions and sensations about what you initially sensed. Even if it is just a jumble of scribbles and whacky drawings, you can still try to decipher it. Once you are finished collecting and interpreting the initial information wave, you can repeat the process to expand on the information you gathered.